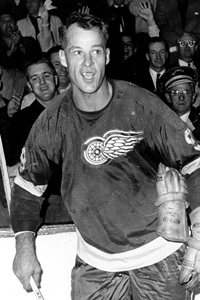 Gordie Howe earned the nickname “Mr. Hockey” from his teammates, friends, commentators, opponents and his enemies while playing for my beloved Detroit Red Wings. It is possibly the coolest nickname of all time and likely the truest ever given to a man. 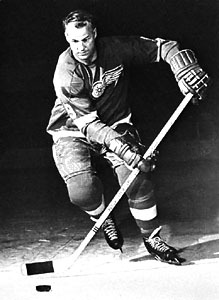 Gordie Howe, while playing, WAS hockey. In his retirement, he still commands the respect as the best player of all time. Most everyone, not just hockey fans, knows who he is. His exploits on the ice are legendary. 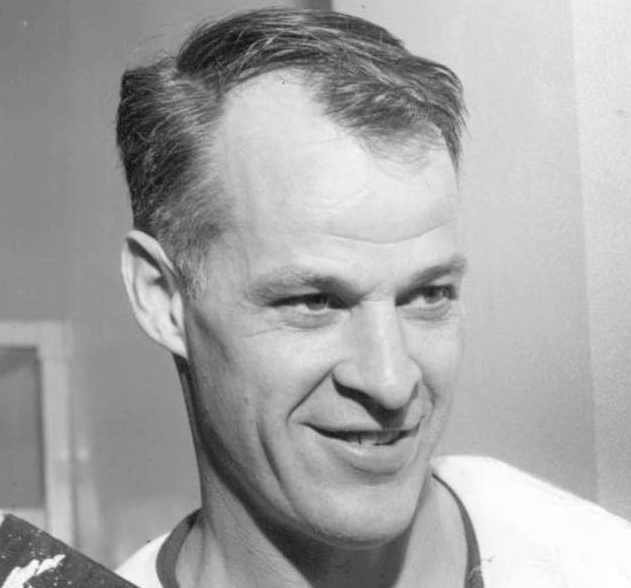 Heck, there is even a made-up statistic named after him: the Gordie Howe Hat Trick. A normal hat trick is when a player scores 3 goals in one game. A Gordie Howe Hat Trick, however, is when a player does it all for his hockey team: scores a goal, has an assist and gets into a fight – all in the same game. That is what Gordie Howe meant to his teammates – everything a hockey player should be. The game is designed for toughness, endurance, and skillfulness. Mr. Hockey was all of that and more. What is even more impressive is he has never given anyone a chance to write or say something bad about the man off the ice. A quiet and stoic leader, Gordie never put his fame and celebrity status in front of his love of his profession or his family. When people speak of Howe today, it is still with the same love and adoration for the 80 year old legend as it was for the 30 year old fireball hockey player. This is why we can look to Gordie Howe for manliness inspiration. He epitomizes the word and gives us a template for how we can Return To Manliness in our own lives. Walk quietly, but carry a big stick. This is a famous Teddy Roosevelt quote, another amazing man we can look to for manliness. There is not a single quote that better describes how Gordie Howe went about his business on the ice. He was never one for chatting or talking it up with other players. When he spoke, you listened. If not, you did so at your own peril (whether you were a competitor or a teammate). Chances were you would get blindsided by the puck, a stick upside your head, or an elbow across your face – or all three if you were really unlucky. Of course, he would have already scored two goals by then. Gordie Howe, by his own admission, had distaste for physical violence. He knew it was part of the game and a big part of his overall success, but he didn’t necessarily go looking for it. What he did recognize, however, is the best way to win a fight is by not fighting at all. He was much more valuable to his team on the ice than in the penalty box. Being able to affect the outcome of the game through intimidation was better than actually fighting. He chose his fights selectively for maximum impact on not just the game he was in, but future games. Carefully choosing when to unleash the wrath of Gordie Howe was Gordie’s choreographed masterpiece of planning and managing his entire career. Everyone knew he carried the biggest stick. Be willing to work harder than the rest. Gordie Howe has a legendary work ethic. He was the gold standard in all of sport for continuous improvement. Many of today’s top performers in their sport (Tiger Woods; Michael Jordan; and Wayne Gretzky to name a few) all point to Gordie Howe as setting the standard of what it takes to stay on top. When he was a young man, Gordie was extremely shy and awkward. He was often ridiculed by other boys and had to fight through mild dyslexia. Fortunately, he went to work with his dad every day during the summers. He was in construction and Gordie would spend hours, what he called later, throwing cement. Just like so many of us, Gordie Howe was not a gifted athlete. He did not have the “once in a lifetime” talent. He worked VERY hard just to keep up with others. So, to excel he knew he had to put in extra time. Gordie would spend hours after practice and even playing full games, shooting pucks at an empty net after everyone else had left. He would work on his conditioning when all others were spent. Gordie played until he was 52 years old! He came out of retirement at age 43, to fulfill his dream of playing with his two sons. In his tenure as a professional hockey player, he skated right wing through the presidencies of Harry Truman, Dwight Eisenhower, John Kennedy, Lyndon Johnson, Richard Nixon, Gerald Ford and Jimmy Carter. He played for a remarkable 32 years and dominated the game in almost every one of them. One of the biggest lessons to be learned from Gordie concerning durability is to never give up. Not even more than 300 stitches, damaged knee cartilages, broken ribs, a broken wrist, several broken toes, a dislocated shoulder, an assortment of scalp wounds, a painful ankle injury and a near-brush with death could slow him down. On March 28, 1950, in the opening game of the playoffs, Howe’s career and his life almost ended. Toronto’s Ted Kennedy avoided a check by Howe, who skidded headfirst into the boards. Rushed to the hospital with a fractured skull and severe brain damage, he was placed on the critical list. He survived hours of surgery and the doctors said he would never play again and maybe never be able to see straight again. They advised him to give up hockey. The very next year, Howe won the scoring title by an astounding 20 points over his rival Rocket Richard. From there, he went on to win 5 consecutive scoring titles. So much for following the experts and giving up. Accessibility is the hallmark of manliness. 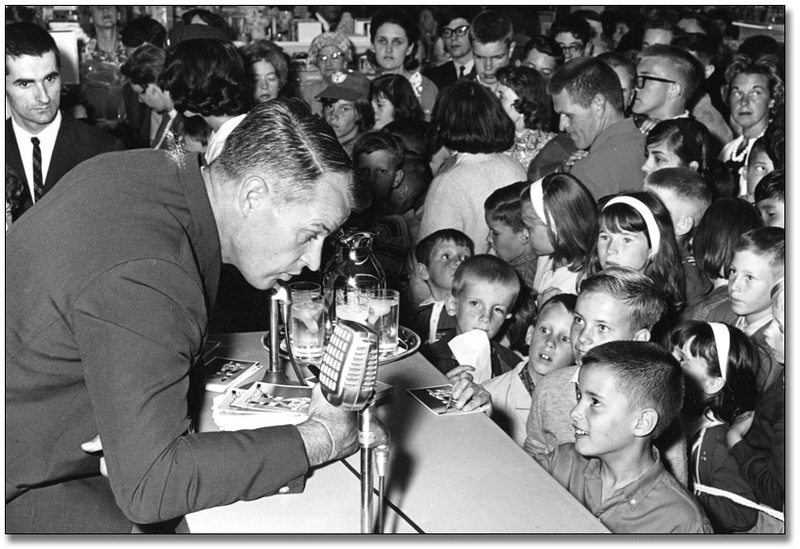 As a player, Gordie Howe would always find time to answer every question of the press and sign every autograph. He was widely known as the one of the best gentlemen around and would always find time for you. This is something I learned from my father as well. Being accessible to others is manly. “Are you available?” is a question we often get from friends, family and even strangers. Giving our time to somebody else is the greatest gift you can give. Gordie Howe, to this very day, when asked that question of availability, always says the same thing – “of course”. He is well aware that his time is as valuable as anyone else’s, but will always give you the respect of hearing you out. This can not be said of many of today’s role models. His sons, Mark and Marty, would always say this of their father. As great a hockey player as their father was, it pales in comparison to the man he was (and is) off the ice. The stories are countless and even Gordie gets confused about them sometimes. He was quoted once as saying he gets confused when people talk about him. He is not sure if they are talking about him or Paul Bunyon. His humility is as legendary as his hockey skills. 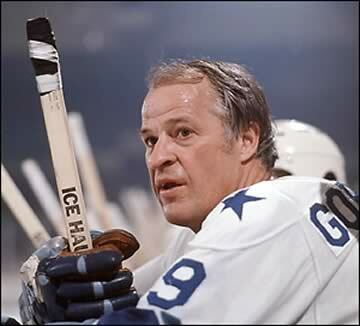 In essence, Gordie Howe is the ultimate athlete role model. There are hundreds of superlatives used to explain what a fierce player he was. There are an equal number to describe the kind of man he is. If you are interested in his life’s history, this Gordie Howe Biography is one of the best. OK, I’m not a man and I probably shouldn’t work too hard on my manliness. But I can still comment, right? My father used to work with Gordie Howe, and he would always echo Mark and Marty’s sentiments. One amazing dude. We need good comments…men or women. Thanks for sharing. I always encourage anyone to go listen to him speak or hang out with him when he ventures down to Hockeytown. He won’t be around forever and there is so much to learn from him. My grandfather always wanted me to play hockey, but I never really took to it. Now, broomball, there’s a sport! Before your post, Kevin, all I really knew about Gordie Howe was that he played hockey a long time and was featured on a Simpson’s episode. “Know that wherever I go, when I hear the wind blow, it will always whisper the name…Edna.” Thanks for the edification. Howe was definitely one of the greats. It’s too bad that more modern athletes don’t strive to be both tenacious players and outstanding men. Stars like Howe are legendary because they were more than just great athletes. @Mike – There are so many people that don’t know about him. He came before ESPN and 24 hour news cycles like so many heroes from the past. Thanks for the kind words. Hey kevin. Thanks for this article, it helped me out a LOT on my research paper about Gordie! A followup to my last comment, do you have any information i can use for my works cited page? i need your Name and Orginization, if applicable. Thanks! To be able to play at this level at 52 years old is almost a miracle. I don’t know how was this possible but I think he is a very healthy person and it makes a lot of sport. Hola! I’ve been reading your blog for some time now and finally got the bravery to go ahead and give you a shout out from Kingwood Tx! Just wanted to tell you keep up the great job! Mr. Hockey came into my salon today to receive a haircut I was so excited and so privileged to meet him he has such a warm heart and quiet a sense of humor I asked for a picture with him and I got his autograph couldn’t wait to tell all my friends and family! What an amazing person! What a ledgend!